Androgyny is so subjective that it’s hard to know exactly what you’re looking for, but I have some ideas and you can choose what feels right to you. For cost-friendly stores I recommend Express, Uniqlo, Torrid, ASOS, or thrifting. Higher quality and a bit more expensive are Everlane and Universal Standard. My one big tip is: Be open minded and try things you’ve never worn before. A lot of people will decide that certain styles just aren’t for them — maybe they’ve been told that throughout their life, or they’ve just decided that it doesn’t look good on them. A lot of people tell me that wearing nicer professional clothing just doesn’t suit them. But if you keep an open mind, you’ll find some things that you truly love. As I’m showing clothes from the women’s department here, you may think, oh, that would never look good on me. It may look different on you, but that doesn’t mean it doesn’t look great!! Once you divorce yourself from the idea that it has to look the same on you as it does on the model, you’ll find a lot more things you like. I’m really into basically everything Uniqlo carries right now. Here are all their blouses. This top is the perfect backdrop for a necklace, blazer, scarf, you name it. Highly recommend getting something like this. Another option is a blouse that buttons half way. I think it would look sweet untucked, with jeans. If you’re not so into minimalism, try similar styles with patterns. I wear blazers and sweaters pretty interchangeably at work. You can even wear both! I could see a wide range of pants working for you. I’m guessing you’ll want to stick with the women’s department, so here are some I love. You can do skinny, wide legged, high waist, low waist, cropped… so many options! 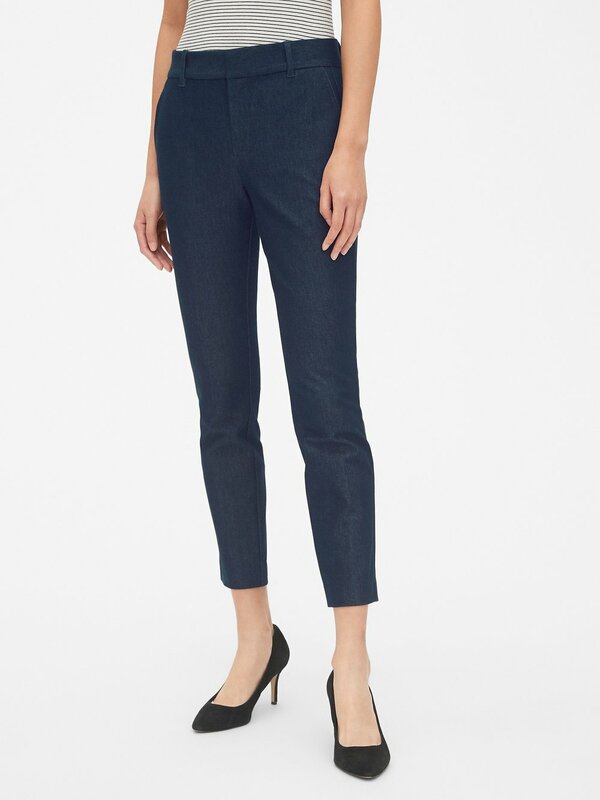 Plus, in a business casual environment, you can wear some nice dark wash jeans! Now I’m just getting excited for you. I love this golden yellow color. Perfect color for spring! If you want to wear women’s jeans but are worried about things showing, try getting high waisted jeans and just pulling them down a little. Despite many people’s insistence that skirts and dresses can’t be androgynous, I’m going to share them here. Proudly. Skirtcraft is a small business we featured when they were in their kickstarter stage. They create comfortable skirts with big pockets for all genders! This skirt has a nice sleek grey professional look. This is the most stereotypically androgynous dress out there. It’s basically a really long tee shirt. I love it. I’d even wear it, under the right circumstances! Similar concept but a turtleneck! 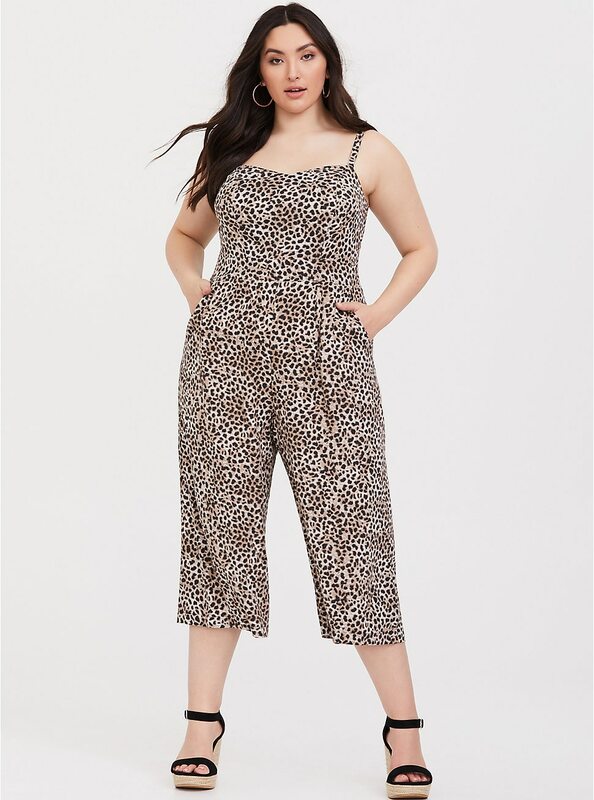 Jumpsuits are awesome. You can put a blazer or sweater over it, or just wear it on it’s own! People shy away from them, yet it really looks great on everyone. How cool would these be with jeans? Here’s a cool equality pin I’m modeling from Little Bridget Jewelry. It’s a nice subtle touch to add to your blazer. Watches are always a great accessory for a work environment. 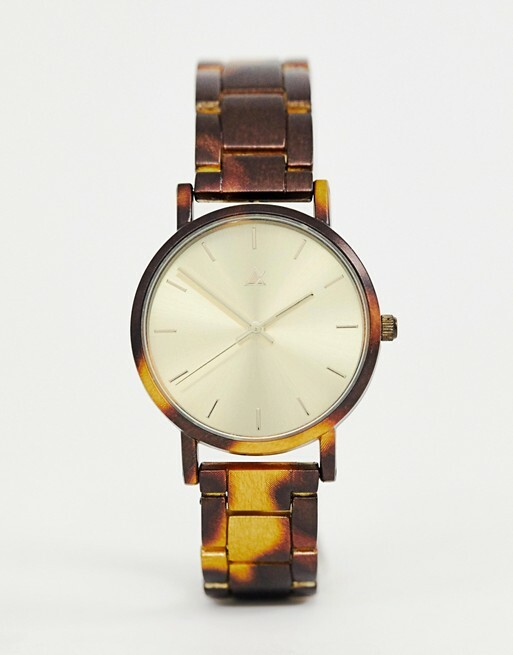 Here’s a nice simple tortoise shell one that’s different than your average men’s watch. Hope these ideas helped. Best of luck!